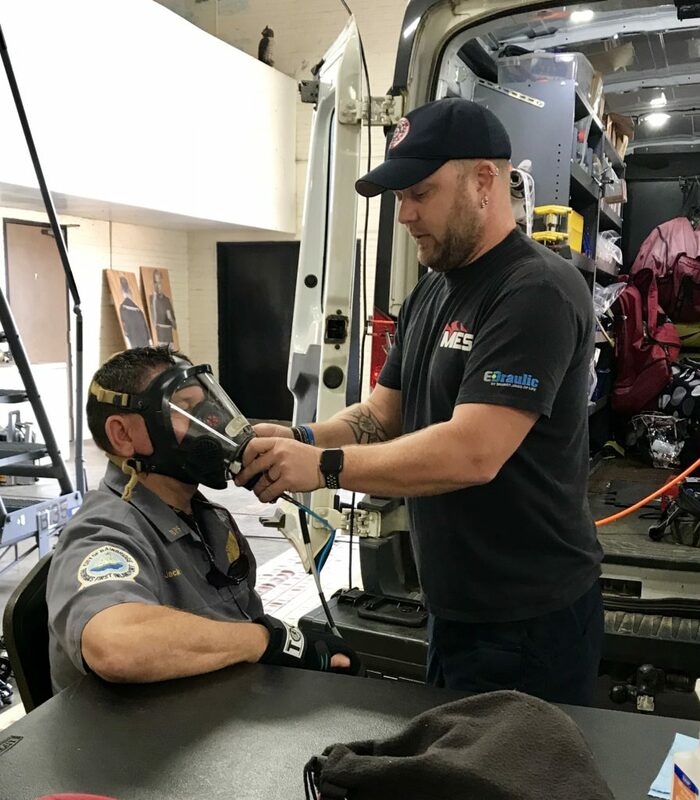 Annual self-contained breathing apparatus (SCBA) testing, cleaning, maintenance, and decontamination is taking place this week at Bainbridge Public Safety. 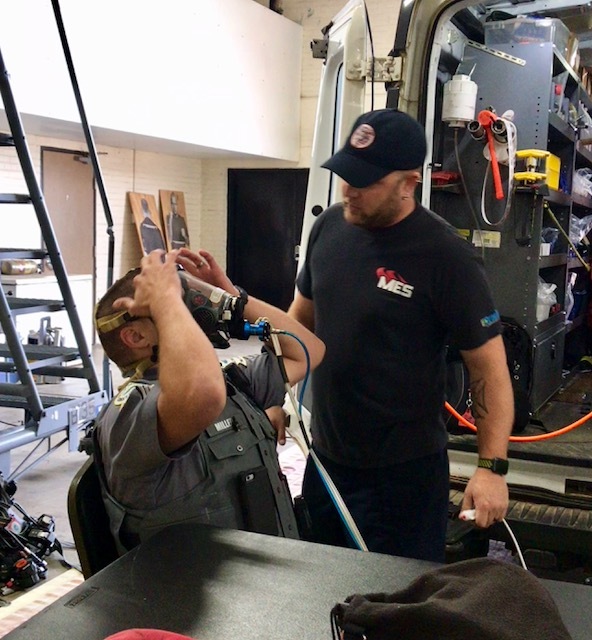 Breathing apparatuses are worn to provide breathable air in an immediately dangerous situation. 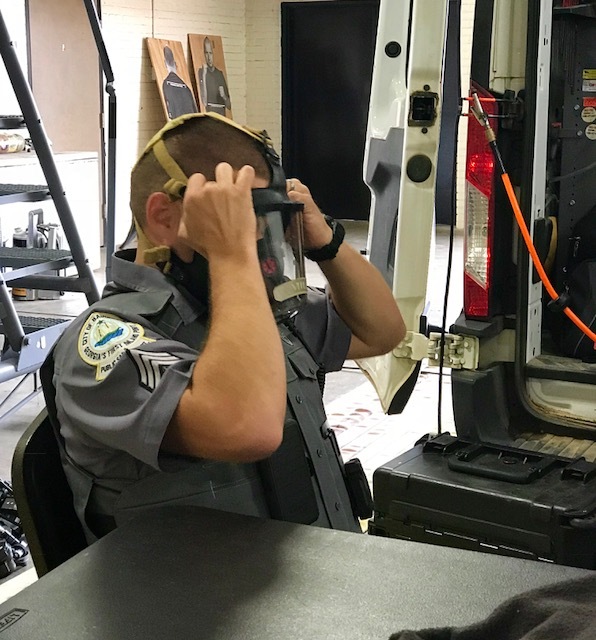 Because Bainbridge Public Safety officers are dual-trained as police and firefighters, all officers utilize SCBA equipment and have their own personal masks. 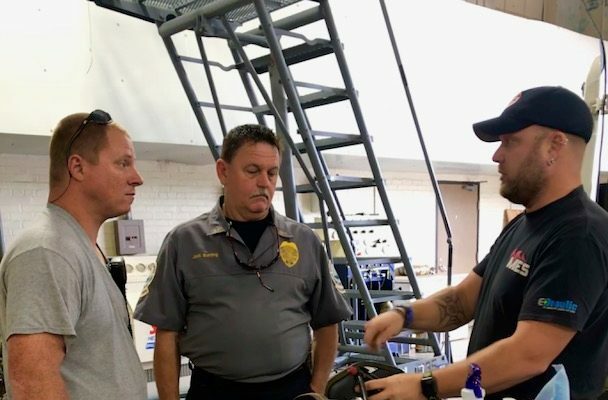 A self-contained breathing apparatus has three main components: a high-pressure tank, a pressure regulator, and an inhalation connection (face mask or mouthpiece). All components are connected together, and mounted to a carrying frame. 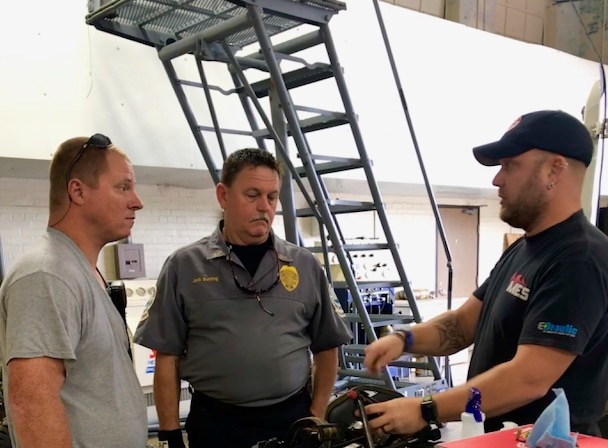 A breathing apparatus also contains a personal-alert-safety-system which emits a distinctive high-pitched alarm which can be used to locate a firefighter in a distress situation. 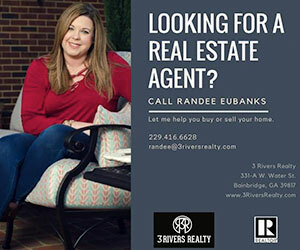 The alarm will sound automatically if movement isn’t detected for a certain length of time (usually between 15 and 30 seconds), and also allows for manual activation if the need arises. 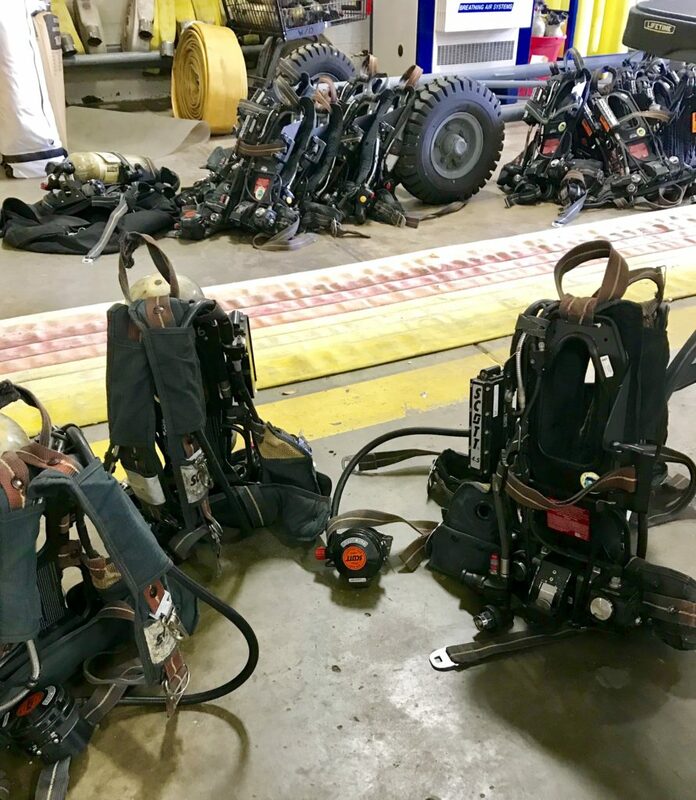 MES Fire is providing the testing, cleaning, maintenance, and decontamination of the SCBA equipment.